The Rialto Fish Markets in Venice. View of the Rialto Fish Markets from the Grand Canal in Venice in January. 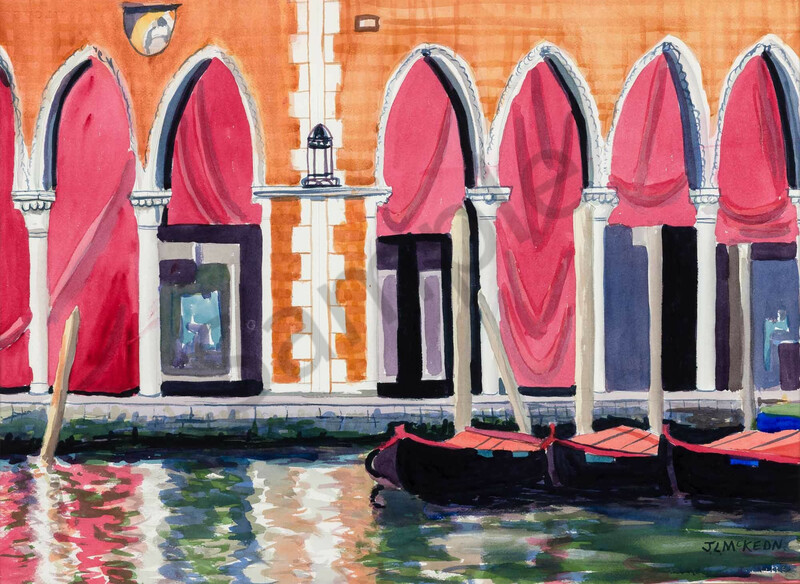 When we visited Venice in Winter, I was struck by the beautiful cool red colour of the drapery hanging in the arches of the Fish Market near the Rialto bridge. This colour contrasts with the green in the water and compliments the warm sienna-coloured brickwork. I also love the reflections in the water. This picture brings back memories of floating down the Grand Canal with my wife and children, all the while admiring the fading beauty of this ancient city.